Oh, So You Have Test Anxiety, Too? Is “Load Management” Something Sports Parents, Coaches, & Athletes Should Know? Corruption in Amateur Sports: Same as its Always Been, or Getting Worse? Are You Looking Toward — or Away From — Future Success? Does it Make Sense for Parents to Hold Kids Back in School for Better Athletic Opportunities? Does Reducing a Kid to a Number, Rank, or Value Help – or Hurt – Future Development? Where Should We Draw the Line with On-Field Sports Violence? Are You “Mentally Ill,” or Simply a Normal Person Dealing with a Tough, Complex World? New Baseball Ad Tries to Attract Younger Fans, But Does it Go too Far? Can Adult Aggression at Youth Sports Games be Prevented? Are You a “Lawnmower” Sports Parent? How Long Can Football Hang On and Withstand Issues Impacting the Sport? Understanding Mental Toughness: Arrogance or Confidence? The Quest to Be the Best: Who Wants it More? Sports Gambling: What Does the Future Hold, Especially for Kids? Is Advanced Technology in Sports Helping – or Hurting – the Overall Experience? Coaches, Round Up the Team for Ice Cream! How are these Drug Side Effects Better than the Symptoms You are Experiencing? How Can Kids Be Diagnosed ADD — in Elementary School?? What Are the Implications of NFL Policy to Address National Anthem Protests? How Young is Too Young When it Comes to Offering College Athletic Scholarships? NCAA Looks to “Clean Up,” But is This Even Possible? Do Sport Performance Products Really Work? Examining ADD: Is Multi-Tasking a Bad Thing? Mental Illness, or Poor Responsibility & Life Skills Development? Technical Fouls in Sports – Are Some Athletes Helpless to Their Emotions? Do Prescription Drugs Fix Mental Problems? Are Sport Analytics the Best Way to Gauge Athletic Talent & Potential? Game Changer: Mental Illness or Mental Issues? Are We Creating an Entire Generation of Kid Drug-Users? How Does Your Coach Stack Up When it Comes to Leading Kids? Where Does the Kneeling Movement in Sports Eventually End Up? Can College Football and Academics Continue to Co-Exist? Does Improving Sport Safety Negatively Impact On-field Excitement and Competition? Has Adderall Become the New Steroid for Athletes Seeking Improved Performance? Fun or Sports Burnout – What’s in Store for Your Child this Summer? What’s More Important in Youth Sports, Growth or Accomplishments? This Spring Most HS Seniors Will Experience Sport Retirement – Will They Be Ready? The Coach Wants Your Kid to Specialize – What Do You Do? They are Great in Movies, But Do Coach Pep Talks Really Work? When is Too Much When it Comes to Youth Sports? Travel or Rec: What League is Best for Your Kid? Why Do Kids with ADHD Only Show Symptoms When They Are Bored? Athletes, Do You Want it as Bad as the Competition? Pool Players – Beat Nerves and WIN MORE GAMES! The Key to Winning: Who Wants it More? We Want Kids to be “Drug-Free,” But What Does that Mean? Are Fans Looking for More than Outspoken Sport Media Personalities? What Happened to the Teacher-Coach in Schools Across America? Have Kids Become “Primed” to Use Pain Pills for Sport Injuries? The Athlete’s Mind: TRAVEL OR REC? Multi-Tasking is Important, But Can You SOLO-Task? How Young is too Young to Offer a Kid a College Athletic Scholarship? Will E-Sports Make the 2020 Olympics? If Everyone is ADHD, is Anyone ADHD?? Will Timing Help Alex Rodriguez Get into Hall of Fame? 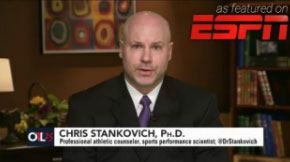 Division I, II, or III: What’s Best for Your Student Athlete? Cavs – Warriors: Who Handled the Pressure Better, Lue or Kerr? Do Some Coaches Over-Coach Kids to the Point where it Hinders Athletic Development? Are We Burning Out Kids in Sports Like Never Before? Is the NFL Trying to Control the Message on Head Injuries & Dangers of the Game? 76ers First of “Big 4” American Sports to Take Plunge with Uniform Ads, But is this a Good Thing? Why are so Many Major League Baseball Players Getting Busted for Drugs? How Many Sports Should Your Child Play this Summer? Have Today’s On-Field Sport Celebrations Gone Too Far? 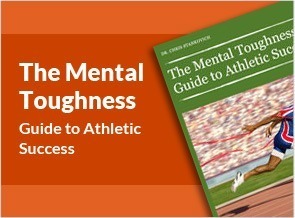 Can Athletes Actually Become Too “Mentally Tough” to Where it Causes Problems? High School Football May Be Eliminated in California, Will Other States Follow their Lead? Football Coach Admits He Directed the Hit, What Happens Now to the Kids Involved? Everybody’s Kid is Great in an Open Gym, but What About When there’s Pressure? 7 Things You Can Do Right Now to Help Your Child Have an AWESOME Sports Season! Is There Ever Such a Thing as a “Failed Season” in Sports? Should You Play Your Child Up — or Down — for Better Athletic Development? Summer Sports Parenting Tips – Make this Your Best Summer Yet! Don’t Like How the Coach is Using Your Child? Sue Your League. Sports Aggression: What’s Good, What’s Bad? Beat Sports Pressure, Take Your Game to the NEXT Level! Are Sports & Pro Social Behaviors Compatible these Days? Tiger Woods Golf Game goes South so Fire the Coach, Right? Has Popularity of Soccer Taken Off Since World Cup? We Worry a lot About Physical Health, But What About Mental Health? Has College Football “Sold Out” as Kansas St Coach Snyder Claims? Do Statistics Help — or Hurt — Athletic Performance? When Did Sports Reporters Become Bigger than the Stories they Report? Should you Hold your Child Back in School to Gain an Athletic Advantage? If 80% of NFL Players Currently Use Marijuana, Does the NFL Need to Change Policies? Could PTSD be the Next Lawsuit for the NFL After Concussions, Pain Pills? Tampa Bay New Uniforms – a Sign of Things to Come for the NFL? What’s the Future of Football? Should Athlete Focus Change for Big Games – Including the Super Bowl? Is it “We” or “They” When it Comes to Describing Your Favorite Team? The Parent’s Video Playbook is a Great Resource for ALL Parents! Do Athletes Need to Develop a “Tough Personality” to Play their Best? Without Passion, Can an Athlete Reach His FULL Athletic Potential? Should Athletes be Expected to “Fight Back” When Bullied? Does Instant Replay Impact Psychology of Flow & Momentum in Games? How Can Anti-Depression Pill Side Effects be Better than Being Depressed? Are We Witnessing a Major Paradigm Shift with the Way Americans View Football? Ryan Braun Lied about his PED Usage, But Why? Lakers Beg Dwight Howard to Stay, But Haven’t We Already Seen How This Plays Out? MLB Drug Scandal Prompts Bigger Question: Why are Guys Still Cheating? Carmelo Anthony Needs a Better Team Around Him – But isn’t He Supposed to Make the Team Better? Does Better Sports Equipment Lead to Riskier On-Field Play? Fun Team Traditions – or Dangerous Hazing? Baseball Started this Week, but are Kids Still Interested? “Framing” Your Future Success: Challenge or Threat? What’s Happening to Our Sports Heroes? Improve Wellness, Happiness, & Productivity for 2013! Should Every Kid Get a Sports Participation Award? The Parent’s Video Playbook Helps Kids Maximize the Athletic Experience! How Much Credit (or Blame) Should be Given to Coaches? Life Stress Test App – “De-Stress” for the Upcoming Holidays! Tebow Trademarks “Tebowing,” But is this a Sign of Bigger Things to Come? Lance Armstrong – Hero or Terrific Con Artist? Does a Lucky Number in Sports Help Athletic Performance? Are You Really Trying to Win if You’re Not Trying to Cheat? Get Ready for Fall Interscholastic Sports! NEW Parents Video Playbook – A Great Resource for All Sports Parents! NEW! 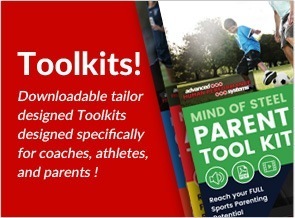 Sport “Toolkits” to Help Athletes, Coaches, & Parents! It’s Football Season – Learn How the SPA-Football App Can Help! NCAA Delivers PSU Penalties Monday – But Will it Be Enough? 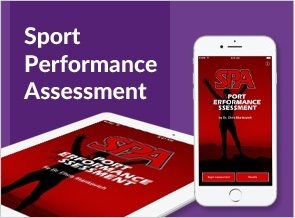 The Sport Performance Assessment apps Help Athletes Reach their FULL Athletic Potential! Should Every Kid Get a Sports “Participation” Ribbon? When Colleges Mess Up, What Should be the Penalty? Sports Parents, if You “Lose Your Cool” at Games Read This…. Get Your iphone Apps for Summer Sports! Can You be a Great Player – Even if You are Not “Great” in the Clutch? Does Your Child Struggle with “Burst Stress” in Sports? Roger Clemens: Great Athlete or Coward? Does Your Kid Have an Anger Problem in Sports? Is There a “Right” Way to Execute Specific Sport Skills? Does “Will Beat Skill” When it Comes to Sports Success? Sports Channeling – a Good or Bad Thing for Kids? What to Do if Your Kid is Good at Sports, But Doesn’t Like Playing Them? Where Will Colleges Draw the Line When it Comes to Academics & Athletics? Mental Disorders in the 21st Century: What Diagnosis Do You Have? NEW Wrestling DVD from Dr. Stankovich – Great for Youth, Interscholastic, & College Wrestlers! Fans of Bad Sports Teams, There’s Always Hope! How Safe is Your Child’s Sports Team from Sexual Predators & Molestors? Parents Recruited to Coach Youth Sports – Might YOU be Next? NEW Life Stress Test App Available for iphone! Athletic Talent or Heart – What’s More Important for Athletic Success? 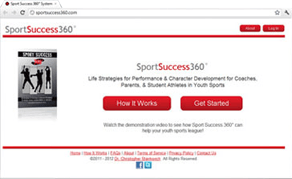 Sport Success 360 Now Available for Coaches, Parents, & Student Athletes! If You Think (or Don’t Think) You Have Athletic Talent, You’re Right! NEW Videos on Athlete & Coach Burnout Coming Soon! Do Power Bracelets “Work” and Improve Mental Toughness & Athletic Success? Using Imagery for Athletic Success! Should You Play Your Child “Up” in Sports? How Many Mistakes in Sports are “Mental?” All of Them! Developing Self-Confidence to Overcome Self-Doubt: Leadership for Life Success! How Did the Lakers Lose their Mental Toughness – and their Season? Athletic Transferable Skills for Sport and Life Success! Athletic Talent vs. Hard Work – What’s More Important for Sport Performance Success? What Happens When a Kid is Good at Sports, but Doesn’t Like Playing Sports? Peak Athletic Performance and Improved Mental Toughness! Does Intelligence Testing Matter when it Comes to Sports Performance Improvement? Sport Success 360 Online Sports Leadership Coach Certification Course Released! Urban Meyer’s Concerns Around Integrity – Was He Part of the Problem? Sport Success 360 Digital Download Now Available!! 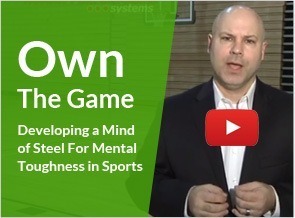 NEW Sports Performance DVD Series -“Winning the Mental Moments”Now Available! The Sports Performance Assessment – now on Verizon! Does Chewing Out Players Really Improve Mental Toughness and Performance? “Winning the Mental Moments” Videos Coming Soon!! Use Sports as a Springboard to Life Success! Sport Superstitions – Do They Help with Sports Performance? Are full-rides also FREE rides when it comes to an atheltic scholarship? Take the Nerf Challenge this Thanksgiving Holiday! Why all the hate for LeBron? Heres why…. Parents, are you really allowing your child to quit sports??? A-Rod just hit #600, but does anybody care? Stacking the team: Will this sport philosophy work in Miami? Ironically, counseling may be the key to dealing with the stress of weight loss! Finally, a Feel Good Role Modeling Story in Sports! SPA Baseball and Softball Now Available! Using the SPA as a Teaching Tool to Improve Sports Performance! Changing Habits for Future Life Success! Sport Performance Assessment for Mental Toughness Now LIVE! Sport Performance Assessment App Coming Soon! Journaling for Sports Performance Success! Helping Your Child Get Ready for Games! Archived Sports Doc Clips now on ONN! Today’s Coaches Pushing Too Hard – on Themselves?! Stress Inoculation for Peak Performance! Youth Sport Burnout: An American Epidemic? Can Being Too Successful Work Against a Coach and Lead to Coach Burnout?